As it weaves between Lane s first Roanoke summer and her return, The Roanoke Girls shocks and tantalizes, twisting its way through revelation after mesmerizing revelation, exploring the secrets families keep and the fierce and terrible love that both binds them together and rips them apart. 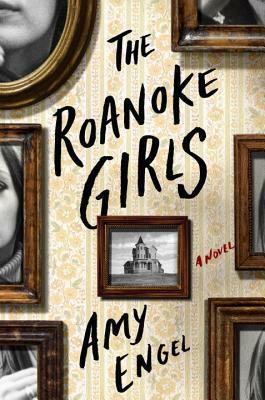 An usual, almost surreal book, The Roanoke Girls is told through the point of view of mainly one character who has escaped a morbid mother and returned home to a nightmarish family. At first all seems pretty and pleasant, but soon enough she finds that there is a hidden decay under the sparkling façade. Chapters change from "then" and "now" and while I usually don't enjoy time shifts, this one is mild and doesn't hurt the pacing of the story. In fact, I was more curious about the before than the later. The author does the technique of revealing semi-early what the big secret is through dialogue when Lane comes back home to find out what happened to her sister, but when back in the past the build-up takes its time to reveal when she first discovered the surprising secret. I will say I haven't read a book like this one before - either in the technique or the plotline. I won't give spoilers here, but let's just say it's not a traditional way of looking at abuse and shows a different side. Not full vulnerability but a strange draw. It was interesting to read this type of view and how molds of victims aren't all equally created. I can't say I felt much bonding with the main character. She had a rough life but before and after just doesn't come across as that likeable. The same, in a way, for Allegra - although she intrigued me more with her buoyancy and dysfunction. I wasn't keyed into the romance with Cooper that much but he's an okay character. Almost gothic in tone, it's an easy read that will keep the pages turning. Unusual and demented, it digs briefly into some tragic lives alongside Lane's twisted existence. At the end is that ray of hope, recovery and healing. I'm not surprised to find out who the ending villain was, but the point of the book isn't so much the mystery of who, but why. It doesn't come across as a surprise, so mainly read this one for the upside down family ambience. I will say the beginning with the mother and the way it was written was particularly stunning and effective.